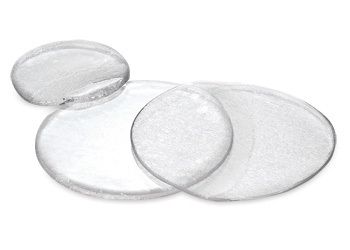 The Body Discs are multi-purpose discs made of mineral oil gel. They will cushion, moisturize and condition your skin. Simply apply to the body part suffering from discomfort caused by pressure or friction. They can be trimmed with scissors to customize the fit. We think these would be ideal to use over boney areas of the rider's seat, knees or ankles or fingers. Non adhesive, but will stick to your skin, where you want it!